Demolition crews swung into action at the end of January as work began to demolish empty council properties. 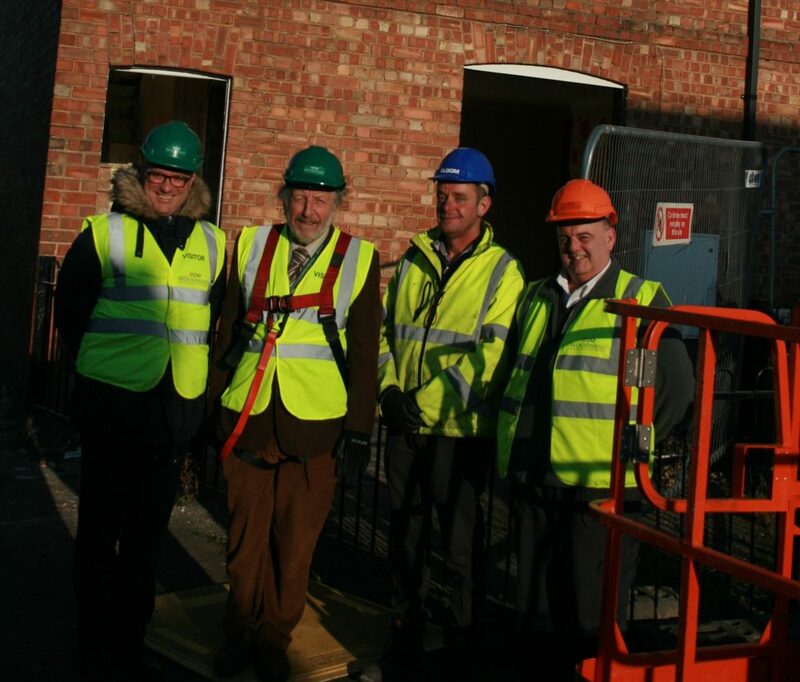 Woodhead Living is currently undertaking the enabling works for North Kesteven District Council. Work has now begun on two of the six houses, which are adjoining others being retained. They are being taken down by hand. This work will continue through to the Spring. The enabling works have been procured through the East Midlands Property Alliance (empa) Framework. The aim of empa, which was formed by local authorities in the East Midlands and is managed by Scape, is to improve the procurement and delivery of construction projects and property maintenance for public sector bodies saving time and money for them and in turn for council taxpayers. From left – Craig Pygall – Construction Director, Woodhead, Coun. Stuart Ogden, Simon Rushby – health and safety officer for Bloom demolition contractors and Andy Evans – Site Manager for Woodhead.